Oranjestad, Aruba – (December 16, 2010) – Whether enjoying a cool beverage at the oceanfront poolside Pelican Bar or simply soaking up the abundant sunshine while relaxing in a comfortable lounge chair, there are many ways to enjoy spending time by the pool on the chic new pool deck at the Divi Aruba All Inclusive. We are thrilled that Windows on Aruba has made it to number one on the list. 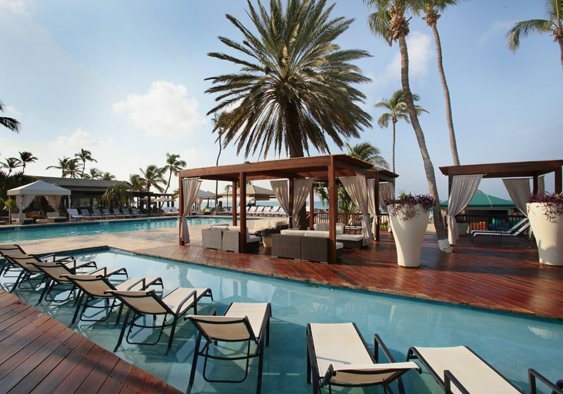 It had been a well kept secret on Aruba, but no longer. Here is one of our reviews. Our dinner at Windows on Aruba was equally excellent last Christmas night.